What a brilliant idea for a book! One Day dips in and out of the lives of two people on the same day every year over the period of twenty years. At first, I was unsure whether the concept would work, but it does – at least for the first half of the book. I have to admit, I had been avoiding this book until I read this review at Lit Addicted Brit. This is the third book that I have read for the Pay it Sideways Challenge. It’s June 15th 1988, the day after Emma and Dexter’s graduation. As they lie in bed, smelling of cigarettes and alcohol, they talk of the future. It stretches before them, filled with hopes, dreams and endless possibilities. Little do they know that their lives will not go as planned and the age of forty, which seems so far away and unimaginable now, will come along much quicker than they would like. It sounds a bit depressing, and parts of the book are; Depressing and realistic. The first few years after university for Emma have none of the excitement that she had envisaged. She is an intelligent, idealistic young woman, bursting with ideas, but struggles to find any meaning in her life. While Emma slogs away in a job she hates, her confidence sinking, Dexter is off gallivanting across the world, racing through girlfriends and not giving a moments thought to the rest of his life. As a twenty-something myself, I have had moments of self doubt and working in jobs I hate, so can understand Emma’s position, but all I wanted to do was give her a good slap and tell her to stop moping around. Dexter half-heartedly attempts to do this but is too interested in himself to put much energy into sorting his friend out. Em and Dex. Dex and Em. They have an odd relationship, and at times I found it rather unbelievable. Their characters are too extreme and if they met each other in real life, I doubt they would really be friends. But, when you ignore these minor details, One Day is a really good, relaxing read. At times it had me laughing out loud, and I was pleasantly surprised with the realistic aging of the characters. The dialogue was spot on and the characters ideas and attitudes gradually changed as they entered their thirties and neared their forties. Although I am younger than Emma and Dexter, most of the pop culture references were still very familiar to me, which was a nice bonus. I started to lose interest towards the end of the book. The characters became flat and the storyline uninteresting. At some point, I realised that I just didn’t care what happened to Emma and Dexter. I won’t give any spoilers away but the ending was particularly unsatisfying, managing to be both extremely rushed and half-hearted at the same time as being very long-winded. It’s a shame, because it has given me a lasting feeling of disappointment, for a book that on the whole, I really enjoyed. I have recently watched the trailer for the film adaptation and it looks pretty good, so expect a review in the next few weeks! Like the film, this book has a nice romcom feel to it. 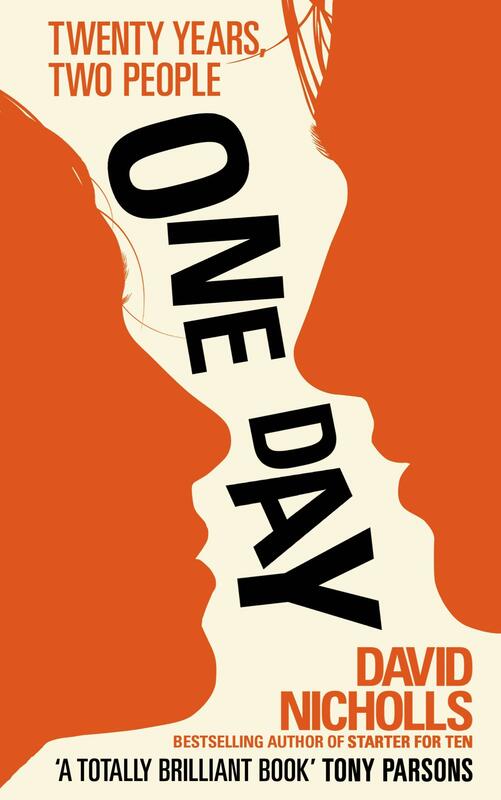 While it’s not necessarily supposed to be a deep and thought provoking read, One Day did get me thinking about our different attitudes at various stages in our lives. Even with the awful ending, I would still recommend it! If you think this sounds like something you’ll enjoy, you can buy it by clicking the picture below! ahhh so unfortunate about anne hathaway – definitely a casting mistake. i totally agree she was not right for the part – a good british story needs some good legitimately british acting and it just wasn’t there. i agree with almost everything you say about this book – i LOVED it when i read it and would even venture to call it a favourite, but looking back i was definitely disappointed with the ending. on first reading i wanted to believe it was a good, unexpected way to wrap things up, taking the chance of doing something readers wouldn’t like, but really it does seem a bit rushed and like it doesn’t do justice to the journeys of the two main characters to get to that point. I didn’t realize it until I read your review but the word ‘flat’ definitely describes how the plot comes together through the last few chapters. overall a good read with very likeable characters but room for improvement i’d say. great review! Thank you very much for the comment! Almost everybody else that I have spoken to agrees about the ending (and thar terrible Yorkshire accent!) The idea itself isn’t bad because it is risky and unexpected but I think it could have been done better. Still a great book though! I really enjoyed the first half! Great review – and I agree with your analysis. I’m interested to hear your take on the film – which i’m afraid to say I thought was a let down – especially Anne Hathaway’s accent!